Operating under the ethos of ensuring that our services complement and protect the environment, Nimrod Environmental delivers high quality, commercial and private estate landscaping and maintenance projects. We provide expert advice, use the best quality materials, give value for money and ensure that client satisfaction always remains at the core of the business. We have worked on a variety of projects including industrial parks, s chools, private estates, supermarkets, universities, business premises, hotels and new office developments. 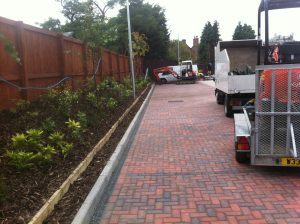 We undertake works UK wide and use the very latest environmentally friendly methods, materials and machinery to ensure that we bring your landscape to life with the lowest possible carbon footprint.